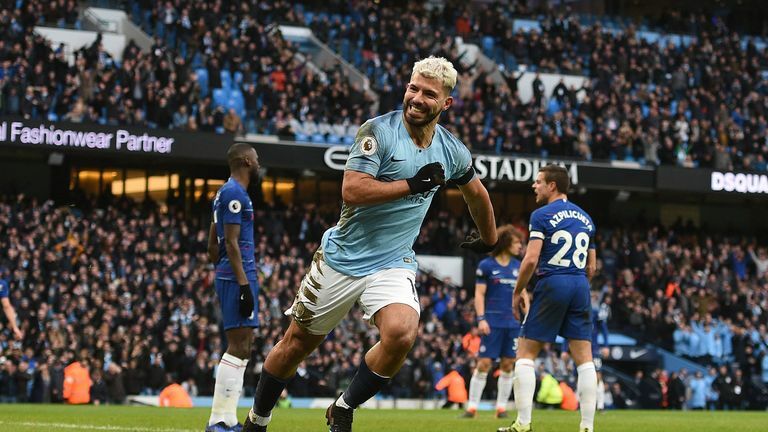 Manchester City have apologised to Chelsea for the music that rang out around the Etihad Stadium following the hosts' 6-0 victory on Sunday. The Madness song 'One Step Beyond', which is regularly played at Stamford Bridge when Chelsea win, blasted out of the stadium speakers immediately after the final whistle. It is understood a City official swiftly contacted the member of staff in charge of the music when they heard the song, it was replaced by 'Love Will Tear Us Apart' by Joy Division. Sergio Aguero scored a hat-trick, Raheem Sterling netted twice and Ilkay Gundogan was also on the scoresheet as champions City secured an emphatic victory that saw them return to the top of the Premier League, moving ahead of Liverpool on goal difference, although the Reds have a game in hand.